I would say that it’ll be amazing if I ever get away from mobile games again, but I already have next week’s Time Waster planned out. It’ll have me returning to browser games again to check out the sequel to a previous game I’ve looked at here, but that’s not until next week. So for now, let’s look at Masked Samurai. 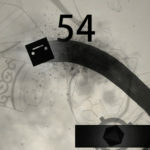 Masked Samurai is a hack-and-slash game that has players fending off waves of enemies to gain experience and level up. I call it a hack-and-slash, but it’s not what I would call a fast-paced game, either. That’s because the game uses a strange tapping system to determine actions and it breaks up the gameplay. 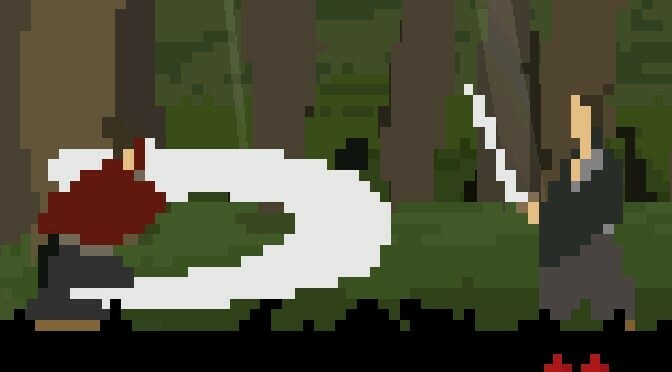 When playing Masked Samurai, players will have to manage the titular samurai’s actions by tapping on certain parts of the screen. 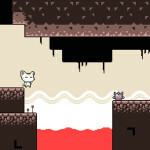 The actions available to the player depend on where they tap. This includes tapping far away from the samurai to have him move to that location. Tapping closer brings up options for resting, guarding, attacking and other actions. Players can also hold down on the screen and move the icon around to see what actions come up before letting go and choosing one. That control system probably sounds incredibly strange, and it is. However, after spending some time with the game, it did grow on me. 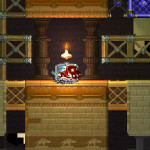 It makes for the type of game where the player is more careful to plan out their moves, rather than run in head first. I can appreciate this design choice as mobile devices aren’t typically the best when it comes to more action-oriented games. Honestly, the control style of Masked Samurai kind of makes it a mix between two different genres. This mixture is that of a turn-based RPG and a Souls-style game. That’s because tapping to chose an action pauses the game, which gives players time to think about what they want to do. The Souls comparison comes into play with the game’s stamina system. Players have three stamina at their disposal. Some actions, such as moving, are free to use. Then there are others that can require different amounts of stamina. The player has to rest to get stamina back. This requires them to select the rest option, which forces them to stand in place and focus for a short period of time. This interesting mix of ideas results in a game that can almost feel tactical at times. Despite that, there are other times where it can feel a bit frantic. This includes any moment the player is surrounded and might need to take a risk or two to get out of a situation. Those risks can be deadly due to the player only having three hit points and health orb drops being rare. I enjoy what Masked Samurai is doing, but it does have some flaws. That includes the game having a large grinding aspect to it. The amount of orbs the player needs to unlock new actions is much too high. Getting orbs gets easier the better the player gets at the game, but I still think it results in much more grind than the average player is going to want to go through. My other major complaint is the ads. As I’ve said plenty of times in the past, I don’t hate ads in mobile games. The developers deserve to make money from their work and I want them to get it. However, forcing unskippable 30-second ads on the player is never the way to go about it. Please, developers, listen to me when I say this is one of the worst things that you can do in your games. It assumes the player is willing to waste the time watching the ad when they really just want to play the game. By all means, put these types of ads in your games, but only if they are optional and reward the player for sitting through them. Otherwise, I guarantee that you will only be pushing players away. Now that I have that out of my system, let’s talk about graphics. 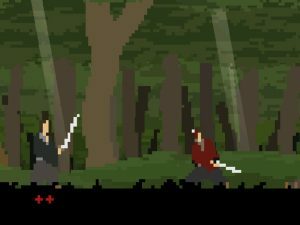 Masked Samurai goes for a for minimalist style that works well for what the game is. 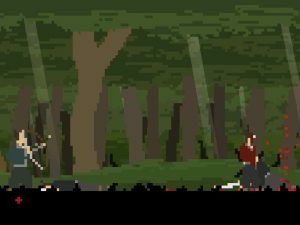 It also allows for the game to show blood from the sword strikes without it looking overly graphic. Plus, it’s just a good option for making the best use of the limited screen size that mobile devices offer. The audio in Masked Samurai is forgettable. That isn’t to say that there is anything inherently wrong with it, but that it doesn’t stick out at all. That’s not the worst sin a game can commit, but the extra care for sounds effects and music can really help set a game apart from others. Overall, Masked Samurai is an alright way to kill some time. The battle system is neat, but can take some time to get the hang of. The game does have its flaws, but I wouldn’t say that they outweigh the positives. 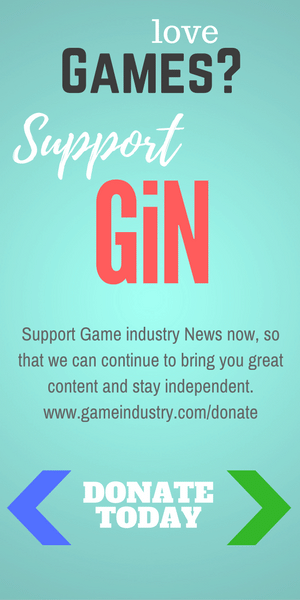 Masked Samurai earns 3 GiN Gems out of 5!